Cheap return flights from Europe to Johannesburg from €286! Relax at one of amazing beaches, visit iconic safaris or conquer the roof of Africa thanks to promotion of 4* Swiss Air Lines. (Member of Lufthansa family). Surely both countries can offer an amazing holidays to all of you no matter what kind of person you are! Based on this Star Alliance carrier you can book fairly priced return flights from Brussels to Tanzania (Dar es Salaam) or Kenya (Nairobi) now available from €393! This is for a round trip including all taxes and fees, meals and checked luggage. Discount is available when traveling from Belgium to Tanzania or Kenya from 24th of February to 18th of June or 20th of August to 31st of October 2019. Blackout period around Easter Holidays.Max stay 3 months. Book this Swiss Air Lines promotion by 31st of January or until sold out. Below our booking sample at the moment great availability. You can also compare all the cheapest flights at website of Lufthansa. (As the carier offers week view). Need cheap accommodation in Dar es Salaam or Nairobi we recommend service of Hotels.com or Booking.com. 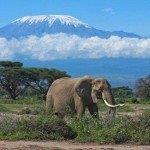 Booking sample of Cheap flights from Brussels to Tanzania or Kenya from €393 return! In this case you would depart from Belgium to Sar es Salaam, the largest city of Tanzania, on Saturday, 9th of March. Return from this African country back to Brussels would be then on Sunday, 24th of March 2019.